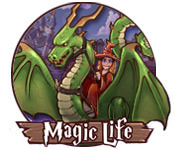 Magic Life is rated 4.7 out of 5 by 29. Rated 5 out of 5 by Anjali24 from Life Quest with a twist I loved this game. It is structured very much like the older Life Quest-Games, except that in this one, you're a student of magic who competes against other students. To do so, you have to accomplish a set of tasks every few days or so, while managing limited resources of time, strength and magic - and money, of course, which you earn by diminishing the others! It's a fun game and I think it has a high replay value, especially since the ways to win are practically endless. Also, you are not really timed - it doesn't exactly matter if you win the competition or not, so feel free to take your time. 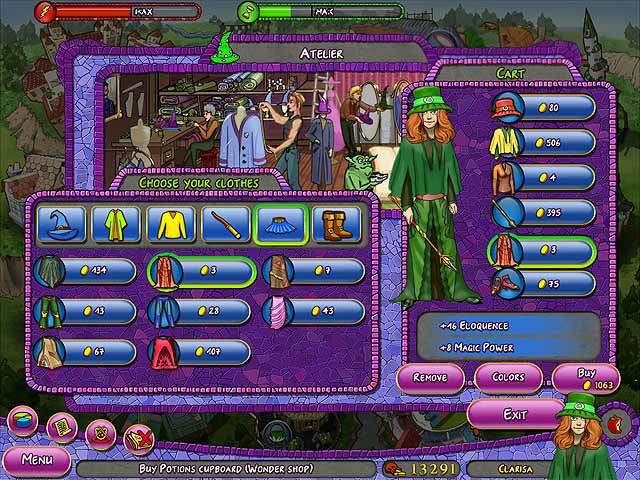 Rated 5 out of 5 by graceland9 from Totally cute life game I really enjoyed this magic version of Life Quest. There were actual characters and a good storyline. Once I started I just couldn't stop playing, so I finished the story version in 24 hours. That's a pretty good run for one credit, though, so kudos to the designers for creating something original and fun. The addition of spell-casting is really cute, and the magic duels kinda challenging at the end. I definitely would recommend this game. Rated 5 out of 5 by Cazpah from Magic Life enhanced my life! Seriously now, it didn't change anything, just gave me a reason to open my mac with more gusto than usual! I find myself thinking of new ways to win in the duels or beat which ever smart mouth is chosen for the game play! I have to say, the way the characters voice their opinion, each time another challenge starts, makes me laugh at the 'realness' (if thats a word?!). What I mean is, the characters say things as most (homo sapiens) would. Much better than the usual dialogue found within other game genres. Sometimes, I find that the developer's/creator's idea of what 'funny content' is completely off and misses its target. Rated 5 out of 5 by whitepegasus from The most addictive game of all!!! Not just me, but my whole family loves this game. 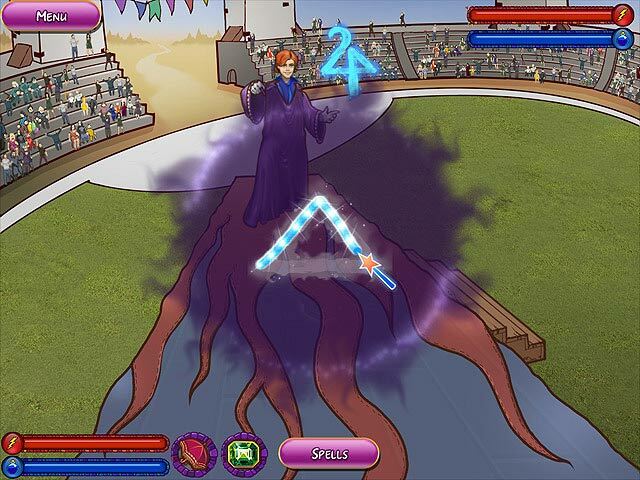 Everybody is waiting for a follow up 2, with more spells, another more difficult level and more time to play. Usually at one point you have had enough of playing, but you always return to 'Magic LIfe', for a new quest! Please, give us more of it!!! Just Love it!!! Rated 5 out of 5 by Kessyra from Engaging and Fun Definately keeps you involved trying to better your character. 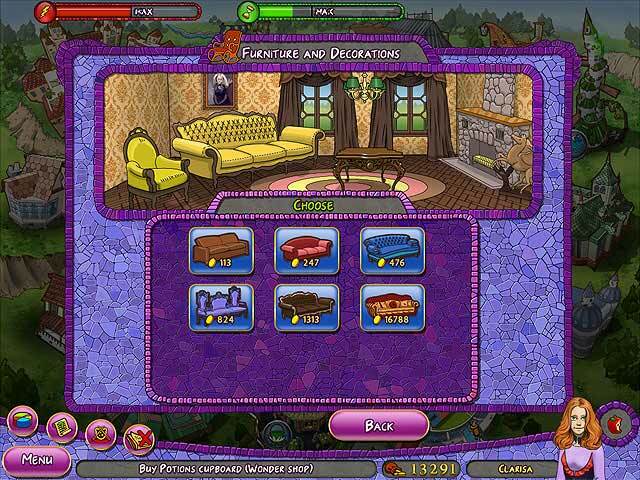 Easy to understand the goals and its fun customizing your character's home, clothes and pets. Rated 5 out of 5 by TAS77 from love this game This game is fantastic to play - love the various challenges and magical contests. I am hoping a 2nd game is coming very soon. Rated 5 out of 5 by piccolocv from Excellent This was so much fun. Like Life Quest but with magic and quirkiness. Rated 5 out of 5 by wclmyy from I love this game! Usually I don't play such kind of game twice, but this one is really attractive that I played again and again. I give 5 star for the fun part. It's not too hard, and have two level of difficulties, which I really like. I only give storyline 2 stars because it is too, too, too short!! !